The difference between what GoPro and DJI do is that DJI allows you to request a manual unlock of Red zones (via email and signed documents), and automatically unlock (using a website) yellow (similar to gopro's orange) zones. GoPro does not allow Red unlocks, and while they don't require unlocking Orange, it is limited to a fraction of the maximum speed while in that zone. I've yet to discover what the fraction of maximum speed actually is. I'm hoping it's more like 80-90% of maximum speed and not something less. It seems really short sighted and potentially dangerous to limit speed at all in the orange zone. If you need to take evasive actions because you see a plane or helicopter approaching your drone, you need to move as fast as possible. If they were trying to prevent people from flying out of control in that zone, it should be automatically stopped from crossing into a Red zone by the software, so I don't see the point. Interesting to see how the different manufactures implement the NFZ's. I have a red zone right in the middle of my town. It doesn't make any sense. My DJI P3 works just fine but the Karma won't even let me start the motors. I can understand the red zones around airports, etc. but not a in a small rural area. Your situation will be interesting, I am assuming you will notify them? Please let us know what happens and how the process goes. Hopefully there will be a system that allows errors in the NFZs to be corrected. I have a red zone right in the middle of my town. Mind sharing which town? Could be interesting to see if this zone matches other NFZ databases, or if it's a GoPro invention. I just had a chat session with GoPro support. They provided this link AirMap.io and there is a "private airport" in my town. The NFZ is a small pond that is listed as a seaplane base. It seems very restrictive to me because I bet there hasn't been any seaplane activity there in years but not much I can do about it. 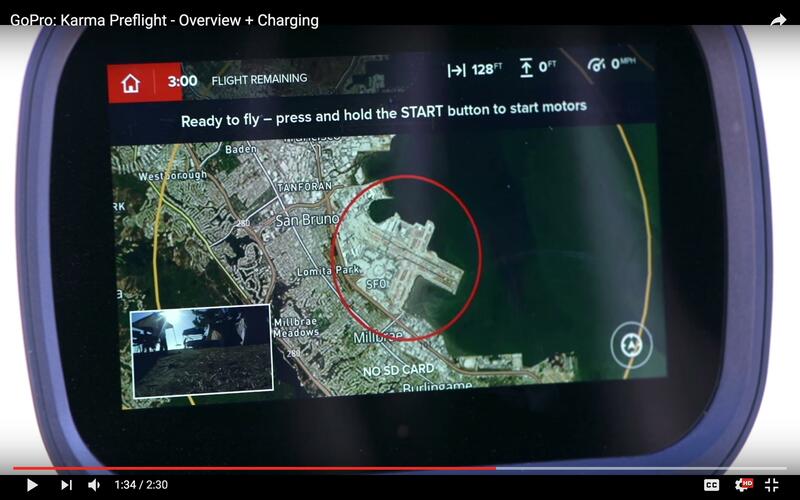 If you use the site, make sure you click the "Show Private Airports" button to see whether you can fly where you want with the Karma. If you zoom out and check/uncheck the checkbox, it gives you a good idea of how much of the country is blocked out by this restriction. So they are using Airmap as a data source? That's pretty disappointing. My Karma flies just fine in the orange zone. Before takeoff it has you click a button that says you obtained permission to fly from the tower. Then, you just say yes and fly? That's sweet! May I ask for your zip code? I just want to check on AirMap to see if it's similar to my zip code.. Thanks! Yes, just say yes and fly! I don't know if that works in the red zone though - probably not. 72113 - I'm inside the orange zone. I think it is just the private airports that caused the problem for me. I was inside an orange zone and got the obtained permission question. When I was near a "private airport", I did not get the question and could not start the motors. Also, when I began a flight outside of the "private airport" area and attempted to fly into it, I was given a warning. I am not sure if it would have stopped me from flying into it. Sounds good guys.. I'll scratch off Karma NFZ as no problem. I'll continue waiting for mine to arrive. Thanks guys. My Karma flies just fine in the orange zone. Have you flown outside an orange zone too? If so, how noticeable is the reduction of speed in the orange zone compared to outside of one? 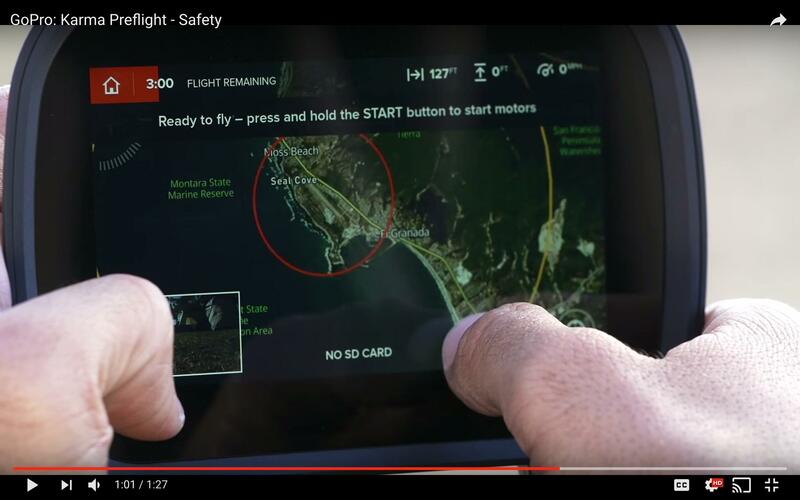 Also, can you confirm that the GoPro NFZ is *exactly* the same as AirMap? I've not yet flown outside the orange zone. I will try to this weekend. In the orange zone - top speed is 35mph according to the display with easy mode "off". With easy mode "on" - top speed is about 17 and very sluggish overall, which I guess is the point. I've not compared the NFZ maps, I will try to do that tomorrow. That's interesting because GoPro claims max speed is reduced in orange zones, but 35mph is the max speed listed on the specs page. Do the no-fly zones get added to the controller when downloading the maps? eg. if you never download a map, do you still have NFZ's? There is a thread on this at GoPro Support as well. My concern is that the 5 mile zone described by FAA and shown in the B4UFly app IS NOT a "no fly zone." It is an area within which a hobbyist operating under 14 CFR Part 101 must notify the airport operator/air traffic control. Technically, there is not any "no fly zone" centered on airports other than special use airspace or temporary flight restrictions. Those pilots flying under 14 CFR Part 107 may operate anywhere in Class G airspace including ON TOP of an airport without prior notification or authorization. However, that doesn't mean that they have priority over manned aircraft. For me, if GoPro does not release specific details on their no fly zone schema, I will be hesitant to buy their product for commercial use. Which is disappointing since only the Karma will be integrated with the Hero 5. I believe that GoPro should only provide advisory airspace information in their app and not disable or limit flight capabilities based on it. The operator is ultimately responsible whether flying for fun or profit. THere are videos online made by people who already have their Karma. Apparently Karma will allow you to fly within the 5 mile radius down to 1.5 miles from center, once the pilot acknowledges that he has notified the airport. Within 1.5 miles there is no option to fly. If you are a professional, with a license and authorization, you are probably flying a more expensive professional drone anyway? If you are a professional, with a license and authorization, you are probably flying a more expensive professional drone anyway? Large media companies and utilities perhaps, but for the independent business person (like me) that's not necessarily the case. The other thing to keep in mind is that those flying according to Part 107 can be hobbyists as well. You don't have to be a commercial operator to fly according to that regulation. The difference is that the certification process requires that you are at least familiar with airspace classes and airport operations. The general 5 mile guideline includes any airport whether a major international, small grass strip, or rarely used heliport. The Part 107 remote pilot, like a sport pilot, will know the difference and know how to operate from or near one safely. So, I would hope that GoPro would at least offer the option for this type of user to determine whether it is safe to operate under a variety of conditions.